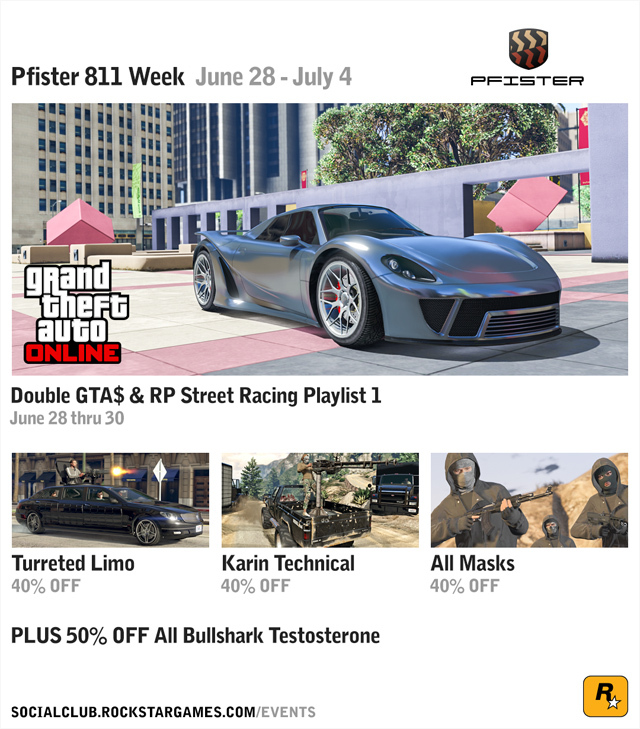 Today through this Thursday June 30 only put your Pfister through its paces in an up-to-8-player Playlist featuring “Senora Freeway”, “Arms Race” and “Business Trip”. Sick of having to choose between the comfort and status of a limousine and the sheer utility of an Armored Personnel Carrier? With the Turreted Limo first made available in Executives and Other Criminals, you don't have to. And if you’re looking for something a little less extravagant, but still fully functional during a highway skirmish, you can also grab the Karin Technical at a 40% discount. Hit up Vespucci Movie Masks this week for all your facial concealment needs. Dial up everybody's favorite Alpha and get half off this popular ‘supplement’. And beginning this Friday July 1 – celebrate Independence Day the American way – with monster trucks, dirt bikes, fireworks and copious consumption of GTA$ & RP. 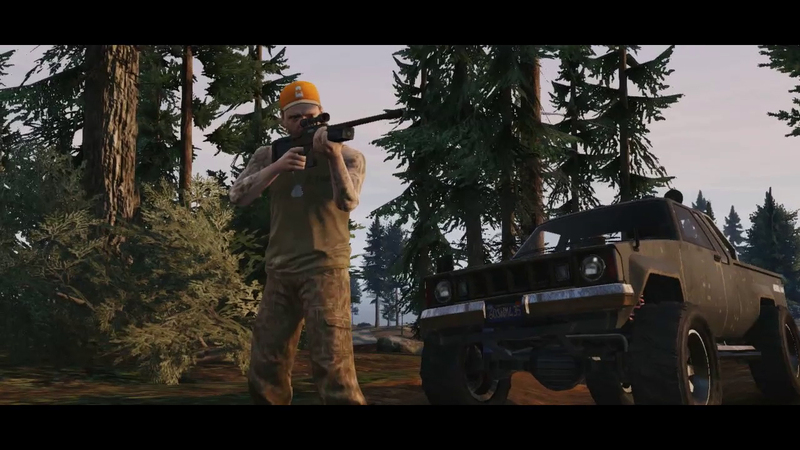 An up-to-8-player Playlist featuring “Road Tripping” (TDM), “Across the Wilderness” (locked to the Liberator monster truck), and “Tour the Lake” (locked to the Sovereign motorbike). 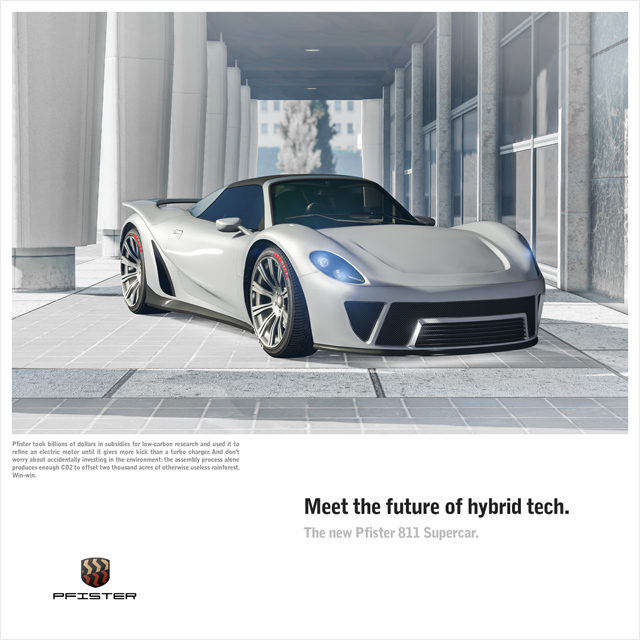 I'm on Xbox one why don't y'all put new chargers and mustangs and ford raptors and ford and Chevy and dodge pickup trucks and some new challengers please add some new cars like the ones I said please and think u.
Pfister 811 Supercar Available & More Bonuses - The Pfister 811 is ready to go and celebrate its release with bonuses and discounts in GTA Online featuring Independence Day items!